The United States and China have apparently reached a tacit agreement to disagree and maintain a leaky status quo in the South China Sea. Not coincidentally, relations on this issue between Asean claimants and between Asean and China are more or less at the same place. In this new ‘normal’ the United States will continue its freedom of navigation operations (FONOPs) challenging what it views as China’s (and others’) ‘illegal’ maritime claims. But it will not publicise them as China views doing so as purposely stirring up domestic Chinese nationalists. The United States will also continue to argue — some would say disingenuously — that it is defending the freedom of navigation that is threatened by China’s ‘militarisation’ of the features it occupies and in doing so is upholding ‘international law and order’. The United States will not try to remove Chinese (or other) forces on the disputed features, nor will it ‘blockade’ them. The United States will continue to criticise China’s positions and actions and try to convince others of the righteousness of US policy and its actions in implementing it. Washington will also continue to strengthen its military relationships with its allies, ‘strategic partners’ and ‘friends’ in the region and to provide them with training and assets to help it in its self-appointed task. It will also urge Asean members to negotiate a binding, robust code of conduct for actions taken in the disputed areas in the South China Sea. 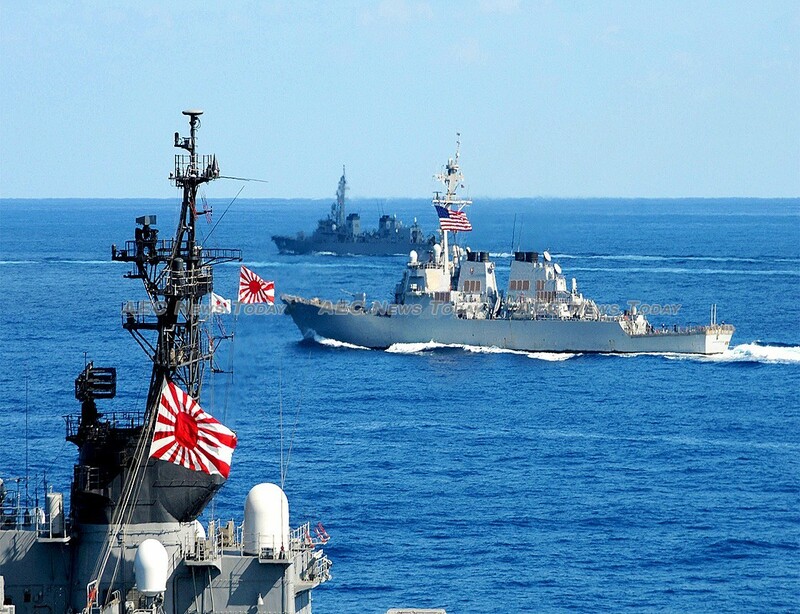 The United States has successfully recruited Japan to join its struggle against China. 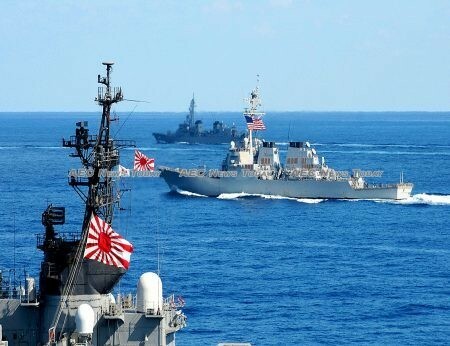 Japan’s new defence policy criticises China’s ‘unilateral moves to change the status quo and attempts to establish such changes as accomplished facts’ in sea lanes critical to Japan. 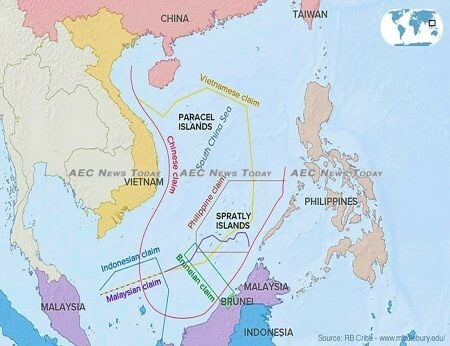 To counter such moves Japan plans to enhance the capability of countries situated along these sea lanes to protect them — including in the South China Sea. China will continue to strenuously object to US FONOPs. It will also continue to enhance what it claims are its ‘defensive’ capabilities on the features it occupies, and argue — some would say disingenuously — that it is doing so because of US FONOPs. China will also continue to proclaim that all the features and their ‘relevant waters’ have belonged to China since ‘time immemorial’ — despite the arbitration decision rejecting its historic maritime claim to the area. Politically, China will continue to lobby both Asean claimants and other members to support its position that the disputes are matters only between it and each of the other claimants and should be resolved through bilateral negotiations. China will also continue to drag out the negotiations on a code of conduct and push for weak and ambiguous wording therein. But it will not occupy new features and hopefully not threaten or use force against other claimants or their commercial proxies. Another major irritant in China–US relations in the South China Sea is US intelligence, surveillance and reconnaissance probes near China. These probes have in the past resulted in dangerous incidents. 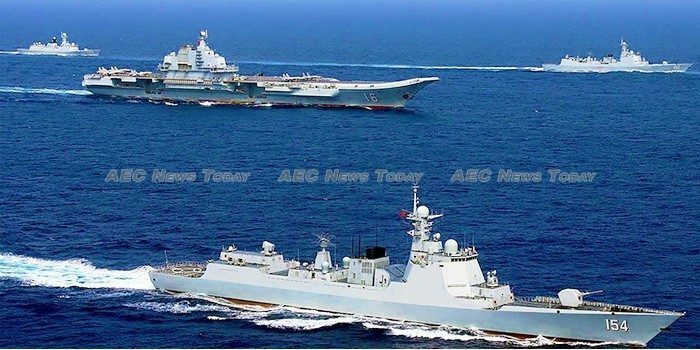 The United States will continue to insist that such assets are exercising freedom of navigation, while China will continue to insist that they are abusing this right and threatening China’s security. Although neither has or is likely to change its position on this matter, a modus vivendi seems to have developed as all has been relatively quiet on that front. Perhaps the United States is refraining from particular electronic probes that China considers unnecessarily provocative — like ‘tickling’ and observing China’s military response, or interfering with its military communications. Meanwhile China appears to be refraining from direct confrontation of the US probes with its warships or war planes. The negative effects of this great power struggle on Asean unity and centrality have become more visible. As Singaporean Ambassador-at-Large Bilahari Kausikan says, the South China Sea has become a ‘proxy’ for the competition over ideas of regional order between the United States and China, and Asean has not covered itself with glory in this issue’. Asean countries are increasingly hedging between the two great powers. The Philippines under President Rodrigo Duterte has used this competition to its advantage, retaining US security protection while benefiting from China’s economic trade and investment. Vietnam has benefited by welcoming visits by war ships of China’s potential opponents such as India and the United States as a deterrent to China, while continuing to maintain robust economic relations with China. The situation between China and the United States in the South China Sea is far from ideal but it does seem to have settled into a temporary ‘new normal’. Nevertheless it is still quite fragile and could rapidly tilt towards conflict if not well managed. All involved need to recognize this and strive to maintain this delicate balance. This article was written by Mark J Valencia, adjunct senior scholar at the National Institute for South China Sea Studies Haikou, China. It first appeared on East Asia Forum under a Creative Commons License and is reproduced here with its permission.